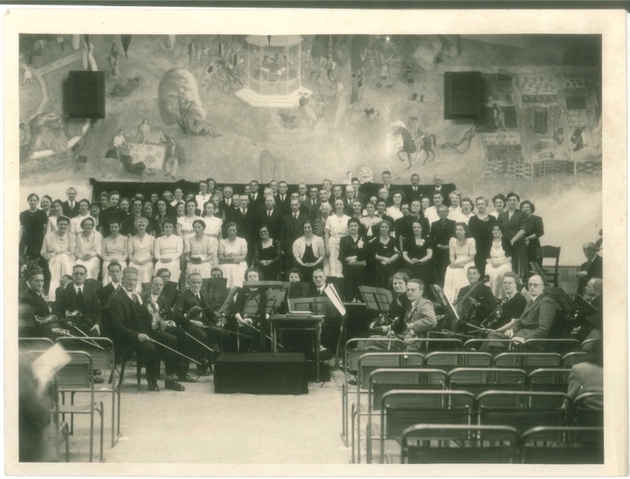 We believe that this is a picture of the Kingston Orpheus taken at the concert venue in Denmark Road. It was possibly the ‘Coronation Baths’ which we understand had a number of purposes, but no longer exists (demolished in 1984). One of the pools was covered over in winter and dances and concerts were held in the building. The Kingston Orpheus was formed by George Anderson in 1944. It is recorded that in 1950 he was in charge of foreign sales and publicity for Hawker Aircraft Co. Ltd. He retired from Hawkers in 1972. 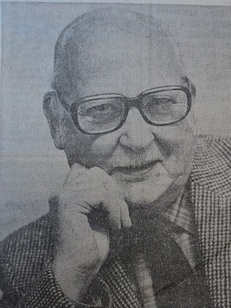 George Anderson as pictured in the Surrey Comet 27.6.81. The paper described George as “Mr Orpheus” and that as he approached his 75th birthday he thought it time to retire. The Comet reported that the choir was set up in 1944 after Mr Anderson found there was very little serious music to be found in London, let alone in Kingston. 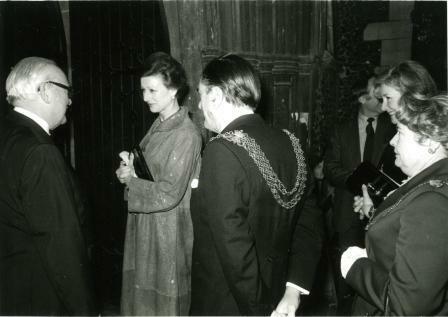 The Orpheus’s first concert was held in St Paul’s church on Kingston Hill. With thanks to Mr Basil Whiffin for providing this cutting. 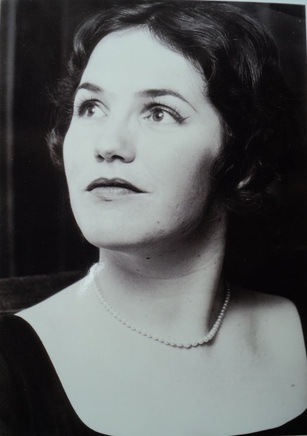 Susan Higgins: 25 glorious years as musical director of the choir from 1982 to 2007.